About this post: Travelling as a vegan sounds incredibly difficult, but after 3.5 years and over 30 countries, I can assure you that being a vegan traveller is more a matter of being prepared. In this vegan travel blog post, I share all my vegan travel tips and try to prove that travelling as a vegan in meat-obsessed countries is not impossible. I’ve travelled to over thirty countries since I turned vegan 3.5 years ago, including seafood-obsessed Japan, kebab-loving Iran and tribal regions of Myanmar, where every kind of animal is relished. Sticking with my commitment to not consume any animal products, I’ve learnt along the way that surviving – nay thriving – as a vegan on the road is an acquired art. The more well-researched, adventurous and creative I am, the more likely I am to find incredible vegan food, sample the local cuisine and build lasting friendships through the common love of good food. My fav vegan tee and a sumptuous vegan cake – in London, UK. While planning my trip to Japan, I was certain I wanted to spend the majority of my time in small villages, explore remote islands and experience countryside living. 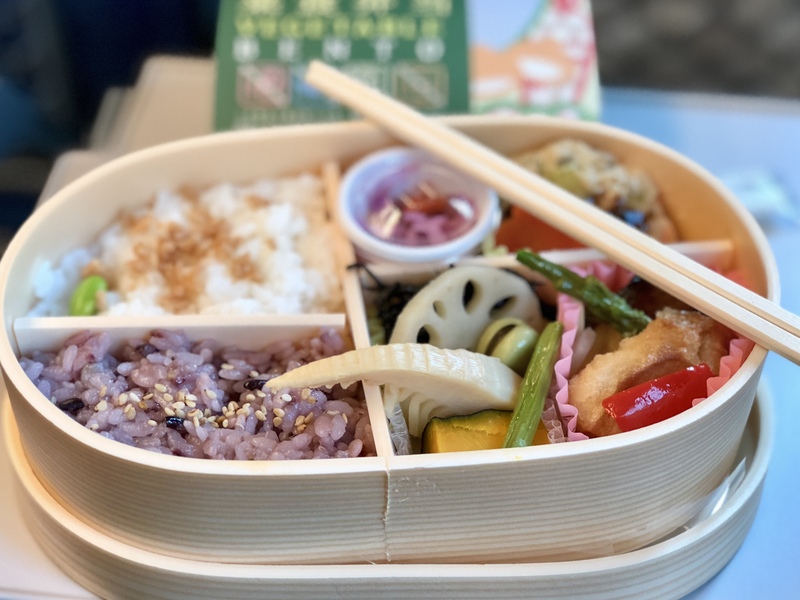 While bigger cities like Tokyo and Kyoto have become vegan-friendly over the years, a Facebook group of local foodies in Japan warned me that travelling as a vegan on the Japanese countryside was going to be “mission frickin impossible!” I took their concern seriously, but I was neither willing to compromise my style of offbeat travelling, nor my commitment to veganism. I think half the battle of travelling as a vegan is in the mind. If we set our minds to finding vegan food no matter what, we’ll find ways to make it happen. On the other hand, if we tell ourselves that it’s okay to compromise on our vegan beliefs once in a while on the road, we’ll be less prepared, less creative and less adventurous. Once I set my mind to surviving as a vegan on the Japanese countryside for a month, I got down to work. I thoroughly researched the cuisine, got a Japanese friend to write a long note explaining my food preferences, learnt which dishes could be customized, raided supermarkets for avocados and fresh veggies, carried back-up food, surrendered myself to the kindness of local chefs and indulged in many bento boxes. Believe it or not, I ended up having incredible vegan food through most of my Japan trip! An Ethiopian Beyayenetu – always vegan and available everywhere in the country. We’re lucky to be living in a world where we can learn everything about local cuisines from around the world with a simple google search. That means before I set out for Georgia in the Caucasus region, I already knew that local dishes like lobia (kidney beans stew), lobiani (bread stuffed with mashed kidney beans) and badrajani nigswitz (eggplant with walnut paste) are accidentally vegan, thanks to the orthodox Christianity beliefs of locals. Before I set out for Ethiopia, I knew that I could be anywhere in the country and still feast on beyayenetu – a delightful vegan platter with injera, chickpeas, lentils and veggies. When I’ve zeroed in on a new destination, I read about the local cuisine on wikitravel or other general websites, and try to analyse which dishes are free from animal products and which can be customized to be vegan. I pour over vegan blogs (of which Mostly Amelie, Vegan Food Quest and The Nomadic Vegan are some of my favorites) and forums to draw on the experiences of past vegan travellers. Having an idea of what I can and can’t eat when I arrive in a country makes it easier to scan menus, order food, speak to local chefs and start treating my tastebuds right away. Found a charming abode with a Swiss vegan family, thanks to HappyCow. HappyCow is one app that every vegan / vegetarian traveller must have on their phone, for it maps out all the vegan / vegan-friendly spots (restaurants, cafes, accommodations, stores) near you, along with reviews from past travellers. It was thanks to HappyCow that I landed up at GustaV, the first and only entirely vegan restaurant in Salzburg (Austria) and feasted on vegan Tyrolian dumplings that I otherwise could’ve never tried. In Switzerland, the accommodation listing on HappyCow led me to stay with a vegan Swiss family in a dreamy little village, where I feasted on carob brownies and vegan rosti. Looking for vegan spots recommended on HappyCow, I’ve found myself in neighbourhoods I wouldn’t otherwise have explored and met passionate vegan owners I wouldn’t otherwise have met. Who knew the search for great vegan food can begin right in your palm! Mastering how to ask for vegan food in Iran – bedoone ghoost (without meat). This is almost a no-brainer, yet it took me a while to master it. The trick is often not to directly ask for plant-based food, nor to explain what you can’t eat. Because many people who haven’t entertained vegans / vegetarians before tend to think that all we can eat is grass salad! After cringing upon being offered a boring salad too many times, I’ve learnt that I have to lay out all possible options of what I can eat . So when I travel to a country where English is not the primary language, I try to learn the names of several ingredients in the local language, based on what’s available locally, including what I can’t eat but also what I CAN eat. When I arrive, I also find a kind local to help me write it accurately in the local script on my phone. In Japan for instance, a newfound local friend helped me write in polite Kanji, that while I can’t meat, seafood (including fish dashi – very common in Japanese food), eggs and dairy products, I can have rice, tofu, yam, soya sauce, soya milk, cold soba noodles, miso, vegetables and legumes – all of them staples in Japanese cuisine. In most restaurants, the staff initially got very worried when I asked for vegan food, but upon seeing my note, whipped up some delicious vegan feasts! In Iran, I was able to get a friend to write that while I can’t eat animal products, I can eat lentils, beans, potato, eggplant, rice and vegetables – all part of Persian cuisine. And in Myanmar, a local friend taught me to say t-t-lo (pronounced त त लो like in Hindi), which indicates Buddhist vegan food in Burmese! Connecting with vegans in Chiang Mai for my first “Cube of truth”. Harnessing the power of social media has led me to some truly unforgettable vegan experiences around the world. Most recently, in Iran, I stumbled upon the Instagram profile of Khalvat House – a guesthouse being set up by a team of passionate Iranian vegans – and ended up being their first vegan guest! After three weeks of sustaining mostly on local dishes like do pyaz alo (stir-fried potatoes and onions) and dal adasi (yellow lentils), I was treated to elements of Persian cuisine that no one else had been willing to veganise. Think vegan dizi (mashed beans with broth), vegan kebabs (made with sprouted wheat and unbelievably delicious) and vegan chocolate desserts inspired by Instagram! On their recommendation, I went on to live with a beautiful vegan Iranian family in Tabriz, where even HappyCow doesn’t have a single listing. 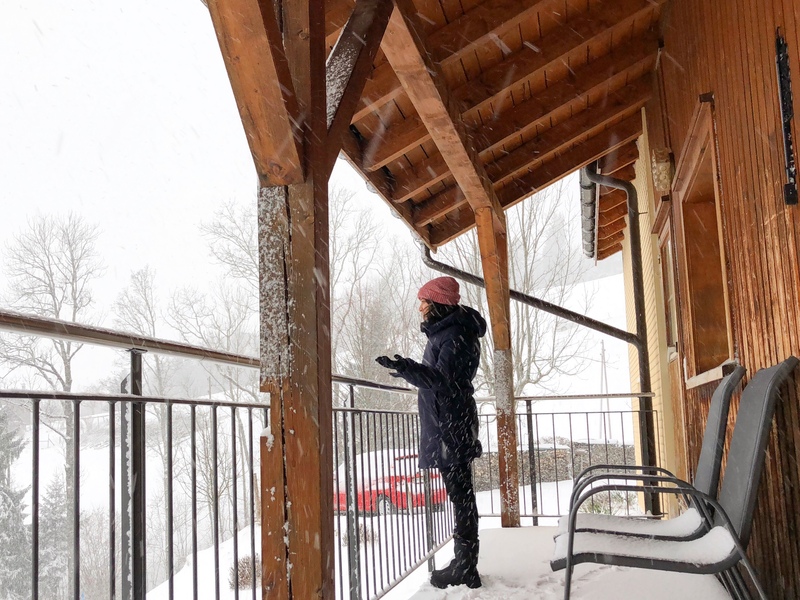 In Japan, using Airbnb Experiences, I landed up in the home of a vegan Japanese family to learn macrobiotic cooking that balances yin and yang – and left with a tummy satiated by incredible food and a heart filled with the warmth of a new friendship. And in Chiang Mai, I ended up joining my first “Cube of truth” after connecting with the local chapter of Anonymous for the Voiceless – a powerful outreach experience. As the vegan movement grows around the world, it opens up a world of experiences for vegan travellers. Experiences that are rooted in the common love for animals, conscious living and good food. An Instagram-inspired vegan dessert at Khalvat House, Iran! Since I turned vegan – and a bigger foodie than I’ve ever been before – I never leave it up to chance to be fed well. In the tribal Chin state of Myanmar, where locals eat everything from monkeys to mithuns (cross between a buffalo and yak), I sustained myself over 3 days with bread and avocados (there was an avocado tree in the backyard of my guesthouse! ), as I said no to rice mixed with mithun blood and dried mithun meat. In both Japan and Iran, where I spent a month each, I stocked up on protein-packed energy bars made on order by my friends from Health Nut and Down 2 Hearth. On long bus journeys and flights, I always pack a vegan meal to keep me satiated, for vegan food on board (always indicate vegan food preferences online beforehand) is often bland and boring. And in my bags, there’s always some vegan chocolate, chia seeds to whip up a quick treat and snacks to munch on. Staying with a vegan Iranian family in Tabriz. If you’ve been reading my blog for a while, you know that I try to seek out local accommodations wherever I go. If it’s a place that offers meals, I make it a point to inform my hosts well in advance that I’m vegan, including what I can and can’t eat. Some lead time always helps! In the Lake District in the UK, I was the first vegan to stay at a newly established B&B. At the time of booking, the hosts seemed unsure of what vegan breakfast they could offer – but between the time I booked and showed up, they had come up with an entire vegan breakfast menu that they planned to offer other guests too! In Tokyo, when I checked in to a guesthouse, my Japanese host told me, quite amused, that he couldn’t think of anything vegan he could offer me for breakfast. The next morning, as I was getting ready to head out, he stopped me and said he had done some research online, and whipped up a vegan breakfast of miso soup and tofu steak! And he was so satisfied with his creation that he planned to add “vegan-friendly” to all his online listings. As more vegans travel, more hosts and accommodations will become familiar with veganism, and the world in turn will become more vegan-friendly! Yummy and healthy – vegan breakfast at The Secret Garden, Goa. If you’ve been vegan for a while, you probably already know that there are plenty of plant-based sources to get protein, calcium and other essential nutrients. (If you’re unsure, read this). But while on the road, I’m often dependent on other people to feed me. When I’m travelling to countries that don’t seem familiar with veganism, I try to figure out what kind of nutrition I’ll able to get from the vegan version of the local cuisine. Will I be able to get lentils, kidney beans, leafy greens, nuts and seeds, and plenty of vegetables and fruits along the way? While preparing to travel to Iran for instance, many vegan and vegetarian travellers wrote that they survived entirely on deep-fried falafels! I had no desire to eat that, so I carried plenty of protein bars and planned to get the rest of my nutrition at supermarkets. Much to my surprise though, I was able to find lentils in many places, and the old Persian bazaars were teeming with all kinds of affordable dates, nuts, seeds, herbs and spices. I also always carry supplements of Vitamin B12 and D3 – something most people, vegan or not, are deficient in – as well as lysine supplements for when my diet has too much soy and too little lentils / kidney beans, which can cause an imbalance of essential amino acids (read here). My portable travel blender that charges with a USB! The best gadget I’ve acquired in recent times is a Vitamer travel blender (available only on Amazon US), which is light, easy to carry, battery-operated, charges with USB and allows me to have smoothies / smoothie bowls wherever in the world I am. When invited to a conference in Belfast last year, I couldn’t bear to have the drab hotel breakfast with only jam and bread as vegan options. So I went to the nearby supermarket, picked up a bunch of fruits, got some raw cacao, pumpkin and sunflower seeds from my bag and made myself some hearty smoothie bowls! As vegan travellers, we can’t rely only on restaurant menus with vegan options marked – for the vegan movement hasn’t yet reached many cities around the world, and certainly not the rural countryside of most countries. Over the years, I’ve learnt to study menus, mix and match ingredients, get creative and explain to chefs what I’d love to eat. It works 80% of the time! While staying at a guesthouse run by an Italian guy in Zanzibar, I really wanted to eat a pesto pasta. After great restraint, I convinced him to try making pesto without parmesan cheese – almost blasphemous for an Italian! At the end of the endeavour, he was rather surprised that it tasted almost the same – delicious. Similarly while eating cafe-style food in a non vegan friendly place, I scan the menu to swap dairy products like cheese and mayo with vegan dressings like hummus, tahini, pesto (if made fresh without cheese), balsamic vinegar and chilli oil. I’m writing this post from a sweet Stalin-era abode in Yerevan, Armenia, which will be home for the next month – and I can’t quite explain the delight of having access to a kitchen after many weeks on the road in Iran. No matter where in the world I am, I love to begin my day with smoothies, chia seed puddings, sauteed mushrooms with broccoli, chickpea pancake (besan chila), hummus and avocados on toast, open-face sandwiches and whatever else that is quick and easy to make! Having an independent space with a kitchen – even if for a few days – is a refreshing change from eating all meals out, and a chance to treat myself to some comfort food and get better nutrition. Besides, as I figure out farmers markets, vegan-friendly stores, local bakeries and organic groceries, I really end up experiencing a place like a local. Contemplating my food choices over herbal tea in Shiraz, Iran. We’ve all seen the jokes about vegans who try to shove their lifestyle choices down the throats of others. I don’t know who they are, for on my part, the vegans that I’ve met are rather aware that this is a very personal choice. Anyway, no matter where I travel, I’ve seldom shared a meal with someone – friend or stranger – without being asked why I don’t consume animal products. I try to talk about my personal journey, as well as the cruelty, health and environmental aspects of veganism. I recommend powerful films like Cowspiracy, Earthlings, What the Health and Okja. I talk about all the amazing food I’ve eaten while being vegan, but also some of the challenges. I try to plant the seed of veganism by encouraging people to decide for themselves, rather than forcing my choices on them. A few months ago, I heard from a host I had stayed with a couple of years ago, a host who had initially been wary of offering me vegan meals. She told me that she had finally transitioned from eating meat to a plant-based diet. I’ve begun to believe that wherever in the world we travel, we need to keep planting these seeds. For we never know who’ll be lucky enough to taste the fruit. Update: Between now and mid-April, I’m offering a one-hour “pay what you like” consultation session for vegan entrepreneurs. Read more about it here. Have you considered travelling as a vegan? What are your biggest challenges and how do you overcome them? Glad you think so 😉 Hope this post will help many fellow vegan / vegetarian travellers. Thanks Chloe! I hope that reading this post will convince potential vegans (or anyone who wants to reduce animal products in their diet) that it’s not that hard to do while travelling – and certainly not in everyday life. 10 years, wow! I’m sure things have gotten easier over the years though? I hope you make it to Iran someday, and especially to Khalvat House. Such a special experience. This post has opened up so much information to me. Thank you for this very informative blog post Shivya. As a 16 year old, it’s difficult to convince my parents that I want to turn vegetarian at least for now. My parents think I’m being pretentious but like you said, I can force my opinion down on everyone’s throat. I hear you. I was in 8th grade when I decided to turn vegetarian, and initially pretended to have a terrible tummy ache when meat was cooked at home. Then I had a chance to discuss it with my dad, and we both ended up turning vegetarian – to the surprise and resistance of everyone else. I hope you’ll find your way around it sooner than later. Great post here, Shivya, I am just vegetarian, yet I know that Iranian cuisine, has plenty of vegan meals too, since I was married to an Iranian for 21 years. Happy vegan travels to you. You never stop surprising me Cornelia. I hope our paths cross real soon! What are your plans looking like for 2019? Awe, thank you Shivya, that’s an honor to hear from you. I wish the same as crossing our path at some point. My travel plans are as small as my budget at the moment, yet my desires are way bigger, Myanmar is still number 1 on my list. I read your article and it is interesting. Happy cow? Now that is interesting. will check it out, Shivya! Do that. It’s a life-changer! Lovely post…I am not a vegan but your post is definitely very inspiring..
Great post shivya…waiting to hear more from u…..
Great article, its very informative. i also want to visit but facing budget problem. hope soon i will enjoy this. Previous PostThe Epic Land Journey from Thailand to India via Myanmar. Next PostWhy You Should Drop Everything and Travel to Iran Now!